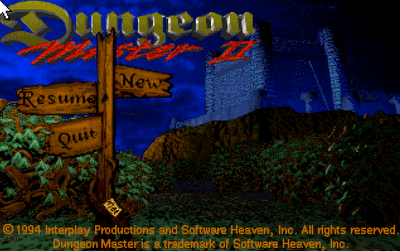 Dungeon Master 2 is very similar to the first. This time you must Assemble a party of 4 heroes to prevent 'Dragoth's' minions from creating the 'Zo Gate', which will allow them to enter SkullKeep. Sounds easy enough, however there are a lot of puzzles to solve and enemies to slay before you are able to achieve this. Thanks for your good job dude ! Thank you for the support, and noticing the dead links. Have updated the file. Many thanks Paul.